Do you enjoy reading bedtime stories to your children? Are you overcoming the period of defiance? Are you searching for a way to lead your child towards the desired correct behavior? In this case you’ll surely like this book which will create a smile for good night on your face. 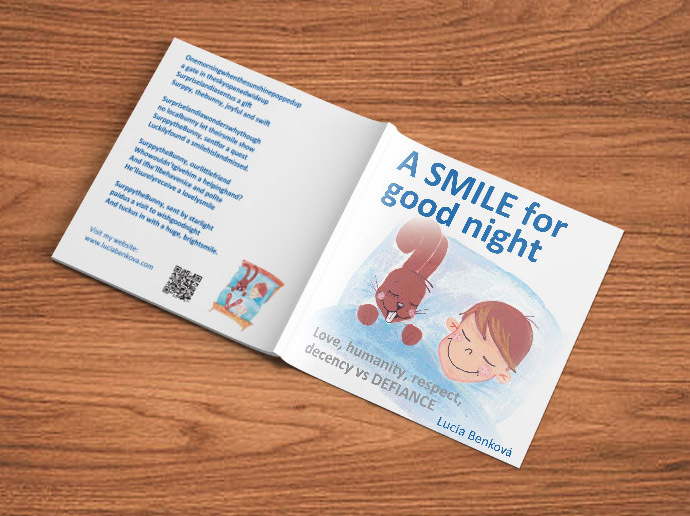 What does the book A SMILE for good night offer? In what aspects does the book A SMILE for good night differ from the rest? 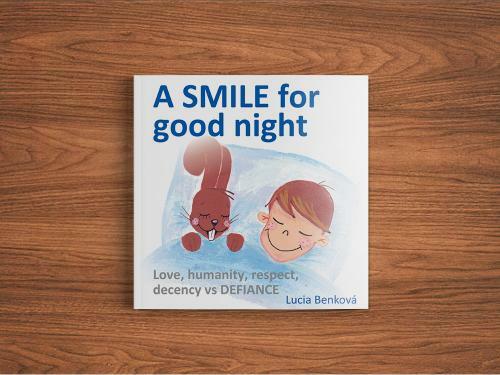 A SMILE for good nightis not just an ordinary book. These educational fairytalesare truly inventive;they pass the message andthe moral of the story very easily in a light, humorous waywhich the children love. They like to identify themselves with animals, which in this case, happens with Surppy the Bunny. The book offers a wide range of ideas and inspiration not only for parents, but for teachers in kindergarten and children themselves as well. By playing games and reading about happy adventures they can learn to overcome the negativistic defiant behavior in a light, friendly way as they are focused on the rules of decent behavior. The bookmark of Surppy the Bunny also helps to understand that good wins over evil. The stories help to solve various problems of upbringing and difficult situations of children of preschool and younger school age, which the parents often have to face. I would personally recommend this book to all the parents who not only want to spend some quality time with your children but who also need an upbringing tool in time of trouble in this fast-moving lifestyle of the majority of families. I actively use this book when working with parents and their children and I was really happy to find out that several kindergartens use it too. I firmly believe that children need a lot of love, assurance and safety. I deem this book to be a useful tool for the support and development of emotional intelligence in children of preschool age and I truly recommend it. I am thankful for this book on behalf of me and all of children. Dear mommies, there are only a few books I would recommend as much as this one. There were times whenI wasn’t able to explain anything to our little girlPeťka (3.5 years old). She was stubborn and both of us just kept shouting at each other and we were desperate. I kept trying to explain everything with great patience, hiding my nervousness, but it didn’t work. BUT then we found this book. A book about Surppy the Bunny, who visited Earth for the first time ever and he doesn’t understand why he has to greet others, sleep at night, bin the trash, exercise, wash his teeth and do other weird things this world deems natural and unavoidable. If the bunny wants to be rewarded with a smile from his new friend–the little boy, he has to learn all of these things step by step. I don’t know how one book can have such an impact on a child’s behavior, but I have a lot to be thankful for. It has brought order to my upbringing, Peťais much less stubborn, she’s very curious about what is right and what is not and she decides whether or not the bunny did the right thing and therefore will be rewarded with a smile for good night from his friend. 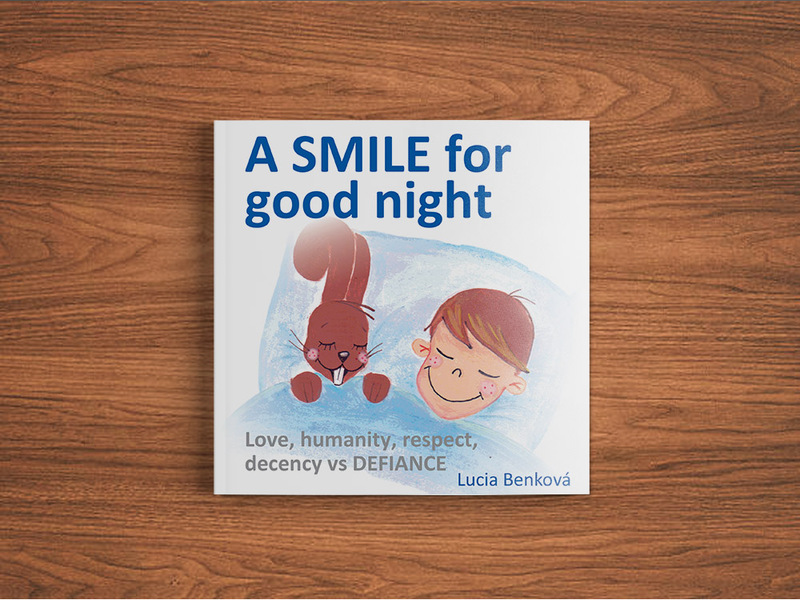 The book iscomprised of beautiful, eloquent bedtime stories (by the way,Peťa now doesn’tgoto sleep at11 p.m. butat 8 p.m., because she can’t wait to hear a new fairytale) and it’s a great upbringing guidance. And the best thing–it was an idea of a Slovak author Lucia Benková, a mom of two children and pedagogy and psychology graduate. Lucka, thank you so much for this book, you have no idea how it changed our lives.